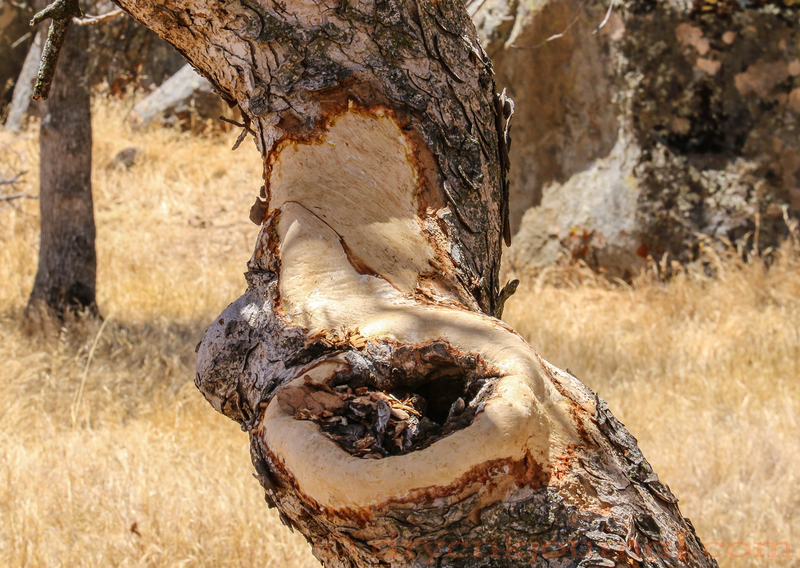 It’s been a mystery to Robbin and I for several years as to who or what has been stripping or eating the bark of certain California Buckeyes below Sulphur Peak. Only noticeable on a few trees this time of year, we have speculated all manner of rare varmints or animals. Last week while feeding and checking our stock water in the Greasy Creek watershed, Terri and I spotted the culprit in the act, an ordinary ground squirrel. I have often wondered how ground squirrels, half a mile or more from any water, get a drink or enough moisture to survive our summers. Perhaps I’m on the right track, or it may be something else altogether that drives a ground squirrel to ultimately kill the limbs of select Buckeye trees. 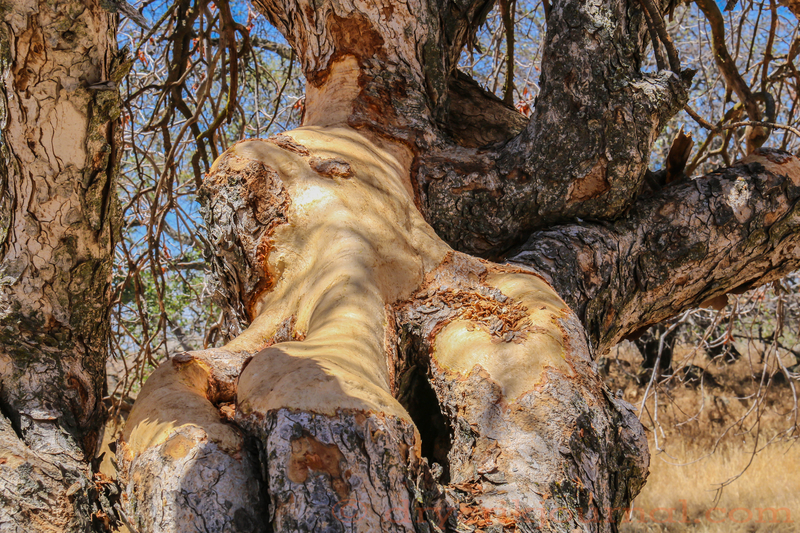 This entry was posted in Photographs, Ranch Journal and tagged Buckeye Bark Eater, California Buckeye. Bookmark the permalink. Just curious, is the finish as smooth as it appears in the pictures? Can you see the indentations of teeth? You can see little gnaw marks when you enlarge the photos. I would have guessed porcupine. We thought an errant porcupine at first, but none in the area. And who knows, maybe the ground squirrels die. We first observed the bark damage three years ago, now again this year–maybe one of those good ideas that didn’t turn out well.